We practiced the sound of the letter F. One our favorite toys is our LeapFrog fridge phonics alphabet set. So whenever we learn a new letter, we always put that letter into our fridge magnet and sing the song, i.e., "F says ffff, F says ffff, every letter makes a sound, and F says ffff." We try to notice the letter of the week throughout all of our daily encounters. Sometimes I print out letter tracing pages I find online, but other times, we'll practice forming the letter with different objects. The letter F is an easy one to form using blocks or toys because it is made of all straight lines (the capital letter at least). 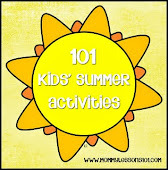 Our preschool activities are centered around the books and stories we tell. I told the story of the grasshopper and the ant using these printouts. Then we read several fall-themed books. Leaf Man by Lois Ehlert. We love the illustrations in this book. And it was a great lead-in to many of our fall crafts. This is a sweet book about Fletcher the fox who is worried about the changes fall is bringing. I love the Strega Nona books, and this fall-themed one did not disappoint. I have had this book since I was a girl, and it has always been one of my favorites. This picture book is a great introduction to the season of fall and all of its aspects. I printed out this image of a bare tree and used it as a counting mat. I created number cards from 1-10. Then, I had the kids choose one card at a time. They would put the corresponding number of fake leaves on to the tree mat. We learned about seasons and why some types of leaves change colors as we read two Scholastic science readers. Another thing I often do during the science portion of our units is do a quick search on YouTube for informational videos related to our topic. 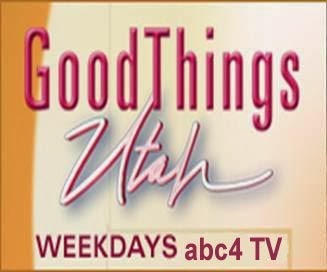 I can always find a few good videos to incorporate, and my kids love it when we get to watch a "show" while we are learning. It would be wonderful if we lived in a place with vividly colored autumn leaves. We would definitely love to go to the mountains to collect some bright red and orange leaves. But in southern California, we have to be content with what we can find. I gave each child a brown paper bag to collect items. Then we went on a walk to search for fallen leaves and berries, pinecones, and other bits of nature that we then used for our crafts. No vividly colored leaves for us--but the kids were still happy with their big, brown leaves. We were feeling very crafty during our fall unit. First, we made our own "leaf man" puppets to go with Lois Ehlert's book. We also used sticks and other items we found on our walk to make homemade paintbrushes which we then used to paint. I was inspired by this idea to have the kids press fall objects into playdough. I used this recipe to make orange playdough which I then kept on hand for our pumpkin and Halloween units that we did in the following weeks. Using more of our nature items, we made little animals from pinecones and rocks similar to this. And we also did leaf rubbings. 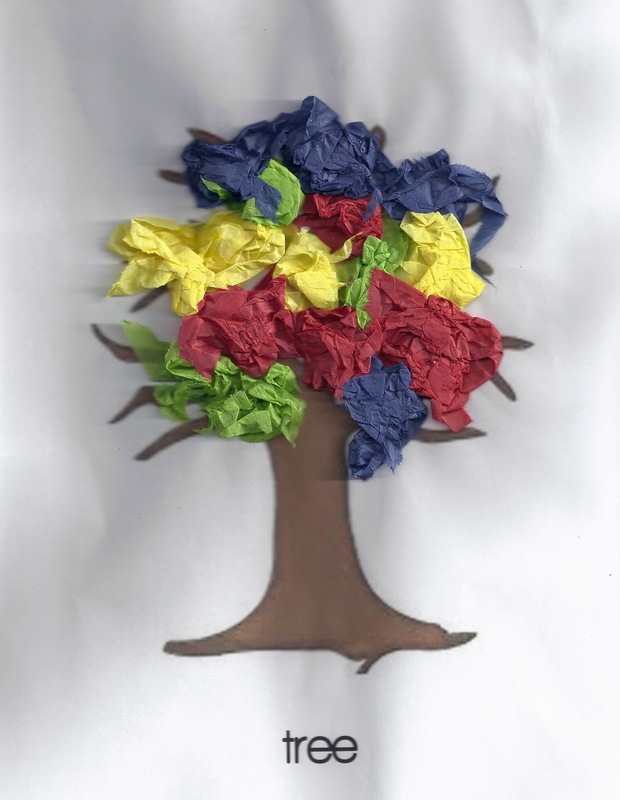 A previous year, I did a tissue paper tree with my older son, along with just a regular "leaf man" craft. The children enjoyed all of these crafts, and the crafts really could be done any time of year that you are in the mood for a nature theme. 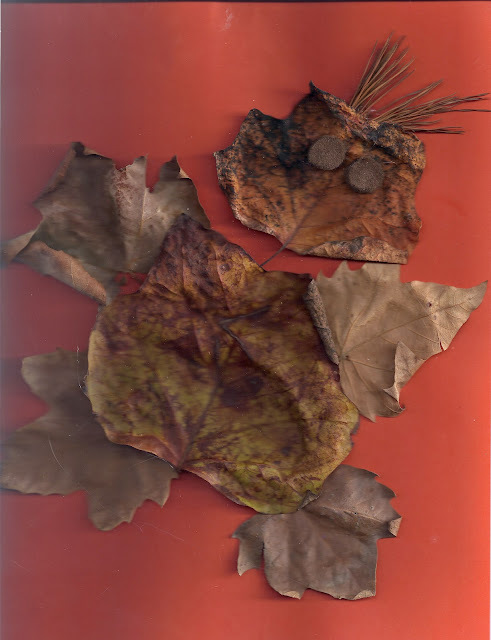 I had some fake fall leaves that I mixed with raffia, pinecones, and other fall items for the kids to explore. We added some of the things we collected on our walk to this play sensory bin. We did this maple leaf color matching game--it was a good challenge, especially for my 2-year-old, since some of the color differences are subtle. We enjoyed listening to Vivaldi as we watched this YouTube video with some pictures of fall leaves. I found a lot of autumn-themed children's songs as we surfed around the web. Here are a few we liked. I gave the kids red and paper leaves to hold and use as we sang our songs. They always love having visual aids to hold during songs. For more ideas, see my "F is for Fall" board on Pinterest!